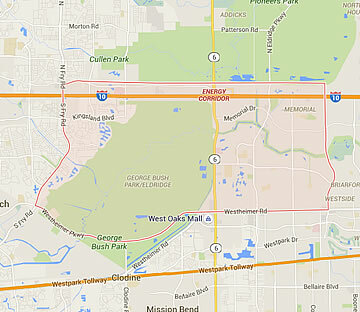 Action Communication Technology serves a large customer base in the Energy Corridor area of Houston, Texas. Our affordable and highly reliable phone systems sales, service and installation products are available to businesses of all sizes. Businesses in the Energy Corridor area of Houston are growing rapidly and have found that their business telephone systems need updating. Older phone systems don’t have the ability to fully integrate with newer technologies recently implemented by many growing companies. These old systems also come with considerably higher overhead costs than the newer, more efficient IP, cloud based, SIP, and others. By keeping an older system in place your business misses out on the many benefits of upgrading to new technology, including higher productivity, increased revenue, and enhanced business image. To cope with your company’s rapid growth and keep up with competition, you need a business communications system that integrates functionality, reliability, and simplicity into the solution and fits in with your current budget. Busy executives in both small business and those with a large corporate campus and multiple locations, have nearly constant meetings, conference calls, video calls, as well as projects and deadlines to meet. A new, fully integrated telecommunications system will drive productivity to unprecedented levels as employees at all levels can handle these tasks both in office or remotely. With this level of connectivity, you can say goodbye to the days of phone tag, missed calls, frustrated clients, and angry vendors who can damage your reputation. When you partner with Action Communication, skilled and knowledgeable engineers get involved in the process right from the project development phase to deployment to post-installation testing. We offer the full suite of the latest, most advanced business phone systems and equipment as well as comprehensive cabling services across all technology platforms.  Whether it’s VoIP, cloud based, SIP, or another new telephony solution, the Action team has the knowledge and experience to design and implement a system that addresses all of your needs and is highly scalable to accommodate future growth.